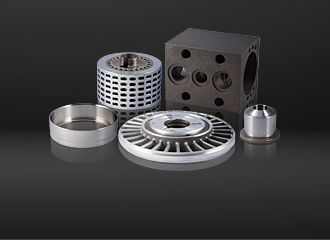 We manufacture prototype and mass production parts of industrial machines, using advanced machining techniques. 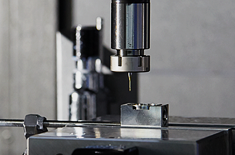 We can deal with a complex shape/precision machining of aluminium/stainless steel. And we provide cost-efficient solutions for medium lot. 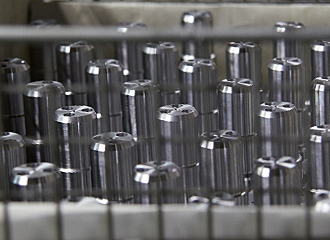 Integrated production from source procurement to special processing, surface treatment, and heat treatment, with precision machining process is available. We have received lots of customer orders from over 20 different industries. 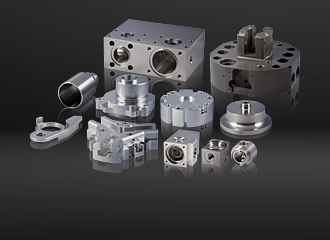 We can accommodate every type of machining mainly for the medium lot sizes. Established the integrated production system. 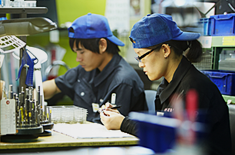 Based on the high level of technical and production capabilities, we address customer needs flexibly. Thanks to excellent process planning ability of our expert engineering staff, we realize the most appropriate and greatest level of processing. Our production capability, cost competitiveness, quality assurance, and quick response are highly appreciated. We enjoy the total dominance in the medium lot production of complex shape parts and processing of hard-to-work materials. Installed a variety of high-performance machines. We realize advanced processing via various technologies. We have been working to improve our production capability and promote social contribution activities. 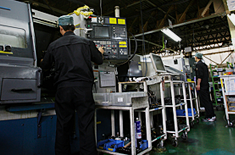 Nakano Manufacturing's high-level precision machining technique built up over years has been highly appreciated also by public organizations including the Japanese government and municipalities. As well as a scratch/burr-free processing technology ahead of the industry, we have introduced the up-to-date precision measuring instruments including coordinate measuring machine and form contour measuring instrument. We are continuing efforts to further improve our employees' technical skill by organizing practical instruction "Nakano Techno School" by World Skills Competition trainers and encouraging them to acquire a qualification. We voluntarily and continuously engage in environmental conservation activities such as EcoAction 21 following the Ministry of Environment's guidelines. 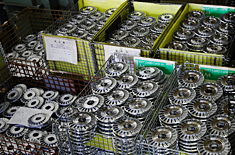 A compact-size parts washer, "Senjo Komachi," significantly increases the production efficiency in our manufacturing line. It provides a strong detergency and quick drying with a reasonable cost. Company profile, intellectual asset-based management report, frequently asked questions and other information. will meet demands requiring the latest machining approaches. 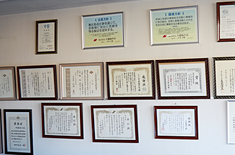 Nakano Manufacturing Co., Ltd. was founded in 1949, firstly as a sewing machine parts manufacturer. After its foundation, we had manufactured products ranging from a reduction gearbox for small or medium ships, to agricultural machines such as tractor and highly precise automobile parts, to meet the needs of the times, and the organization has grown steadily. 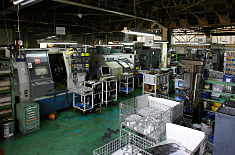 Since the early 2000s, we have produced various industrial machines for over 20 industrial fields, including the cutting-edge products, semiconductor production equipment and robot. 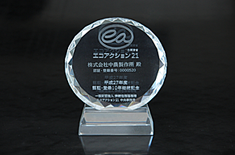 In 2007, we were chosen as Vibrant Small and Medium Enterprises Selection 300 by the Small and Medium Enterprise Agency. We have been highly appreciated by public organizations for our technological capability. And in 2017, we established Nakano Precision Co., Ltd. in Ho Chi Minh City, Vietnam to develop the international specialization of production system and advanced into the mechatronics field, where significant growth is expected in the future. We have been working also in new business such as development promotion of in-house products including a compact-size parts washer. Nakano Manufacturing, as a precision machining expert, will continue to improve our innovative technological capability and serve higher, diversified needs of customers. For consultations and inquiries regarding each parts production and technologies, please feel free to dial the following number. Copyright © Nakano Manufacturing Co.,Ltd. All right reserved.